Chain, Final Drive - DID, 530 Size, 108 Links. High Quality Non O-Ring Chain To Fit All 650 & 750 Triumph Models W/ Stock Sprocket Sizes. Chain, Final Drive - DID, 530 Size, 110 Links. High Quality Non O-Ring Chain To Fit All 650 & 750 Triumph Models W/ Larger Sprocket Sizes (When In Doubt Get This Size). Chain Breaker Tool, Bikers Choice. 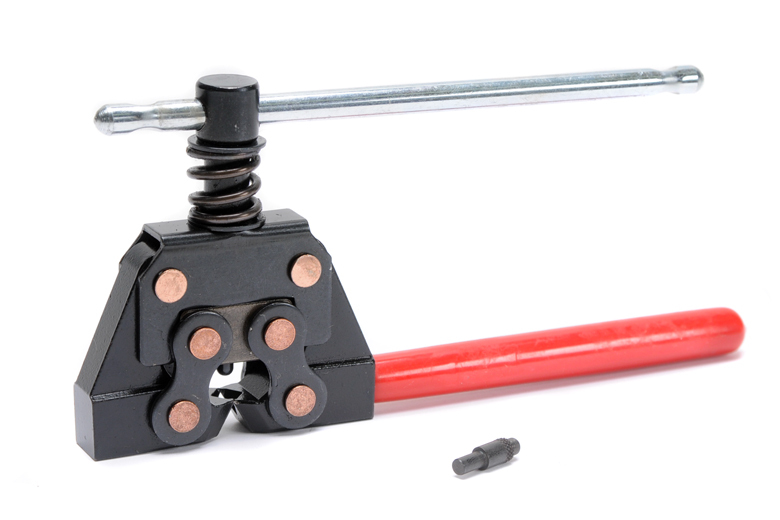 Heavy Duty Tool Perfect For Removing Links From The Non-O-Ring 530 (5/8") Drive Chains Used On Triumph Motorcycles. Includes 2 Extra Replacement Tips.